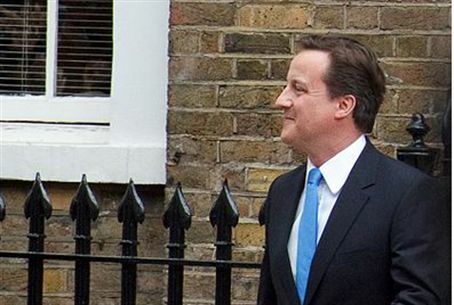 British Prime Minister David Cameron has resigned as a Jewish National Fund patron. Pro-PA campaigners said he buckled to their pressure. British Prime Minister David Cameron has resigned as a patron of the Jewish National Fund (JNF), set up prior to the establishment of the state to purchase land in Palestine for Jewish settlement. Traditionally the leaders of Britain's three main political parties are patrons of the JNF. Pro-Palestinian Authority campaigners are crowing that Cameron, who allegedly released a statement claiming he also stepped down from other charities as well, had buckled to pressure from their groups. Cameron's resignation has meant that none of the top three UK political leaders are serving as patrons of the JNF at present. Both the UK-based Stop the JNF Campaign, and the Palestinian Solidarity Campaign – have tried to claim credit for Cameron's resignation. Both of Cameron's predecessors, former UK prime ministers Gordon Brown and Tony Blair, continued to be patrons of the JNF throughout the duration of their tenure.